In one of the most exciting days in the history of the British public house and perhaps the history of awesome things we can finally announce that the raddest beer to ever be beered is on tap and we are one of only a handful of bars to have it! And we’ve got a whopping twenty barrels of the stuff, which is literally hundreds and hundreds of American gallons. 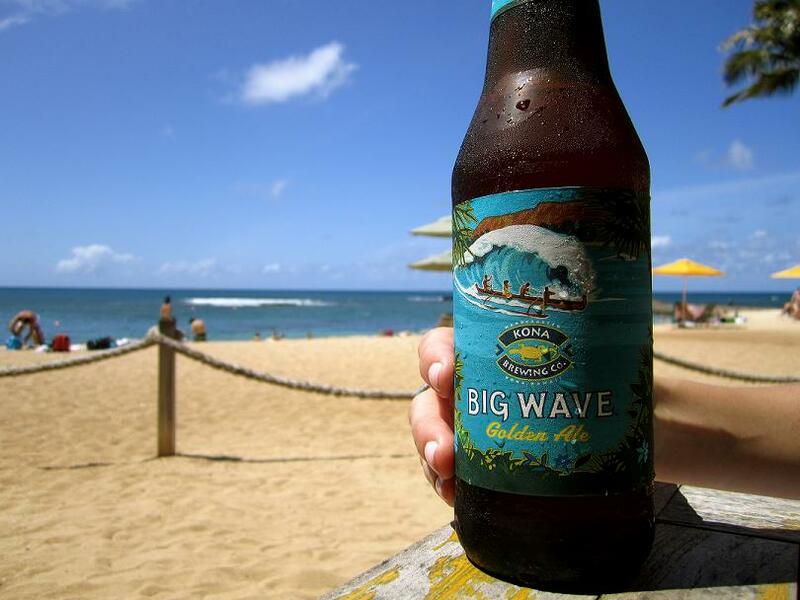 Kona Brewing Company’s legendary Big Wave has been a staple of our fridges for some time now, with those blue tinted bottles of light golden ale providing a constant source of sunshine vibes no matter how miserable it got out on Pentonville Road. Its award-winning tropical hop aroma was designed to be an easy drink after a day out on the surf but for me it’s a reminder of summer holidays and Um Bongos, with more of a kick and delicious beeriness. A perfect pairing with our refreshing watermelon and haloumi salad. Throw a couple of the Castaway IPAs or Fire Rock Pale Ales into the mix and we’ve got a party on our hands. We’d like to remind you to enjoy our beers responsibly, don’t drink before heading out on the waves. 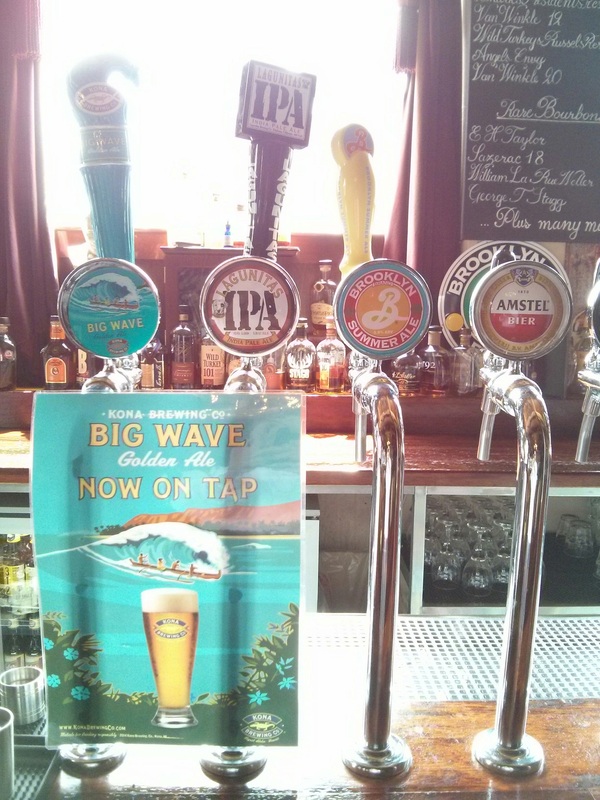 This entry was tagged american beer, beer, big wave, kona, kona brewing company. Bookmark the permalink.